The Prospective Student Open House will provide an in-depth look at the School of Public Health and provide information on the admissions process. The event will also give guests the opportunity to meet with faculty, staff and students from the department they are interested in. For more information, please email the admissions team at SPHadmissions@uth.tmc.edu. Please RSVP for the Prospective Student Open House HERE. The 2019 Virtual Fairs will allow an in-depth look at the School of Public Health and provide information on the admissions process via online chat rooms. The event will also give guests the opportunity to chat with an admission coordinator, academic advisor and/or current students. For more information, please email the admissions team at SPHadmissions@uth.tmc.edu. Please RSVP for the 2019 Virtual Fairs HERE. For more information, please email the admissions team at SPHadmissions@uth.tmc.edu or contact us at 713-500-9032. When you’re looking at graduate schools of public health, there are many factors to consider. The quality of each program, the price of tuition, access to faculty and the opportunity for hands-on public health practice are just of a few areas prospective students think about before making a final decision. The University of Texas Health Science Center at Houston (UTHealth) School of Public Health is at the top of the list in all of those areas and a few more. Take a look. There are six campuses across Texas to choose from Houston, Austin, Brownsville, Dallas, El Paso and San Antonio. 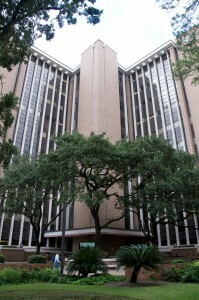 The main Houston campus is located in the world’s largest medical center the Texas Medical Center. The cost-of-living in Texas is among the lowest in the US. UTHealth SPH has over 160 faculty who know students are the future of public health. UTHealth SPH is the #1 ranked doctoral program in Health Promotion/Health Education. One of the top population genetics programs in the world. UTHealth SPH offers 4 online certificate programs. Students interact on a daily basis with peers at other campuses via Interactive Television (ITV). The Student Epidemic Intelligence Society works with health departments across Texas to give students hands-on experiences in everyday public health as well as in extraordinary disasters such as Hurricane Katrina.